Simply click on the image below, save it to your desktop so you can zoom in on the detail. There are six records shown in the picture which can be identified (three of them are fairly easy and the other three will test your grey matter somewhat more). All I need you to do is name TWO of the records depicted and send an email to kidbiscuit at hotmail dot com. I will throw all the correct entries into a Kangol hat and pick out a winner next weekend. Remember, this is a park jam so this should help you identify the records in the DJs crates. There's no special prize if you can name all six records, although you will be awarded maximum props from the DAILY DIGGERS crew and maybe get your name in lights! You know what to do......good luck to everyone. More details from me this evening about www.LEACYBROTHERS.com - a site dedicated to the legacy of my dear departed good friend BREAK DJ LEACY and the continuing exploits of his brother AIDAN ORANGE LEACY. 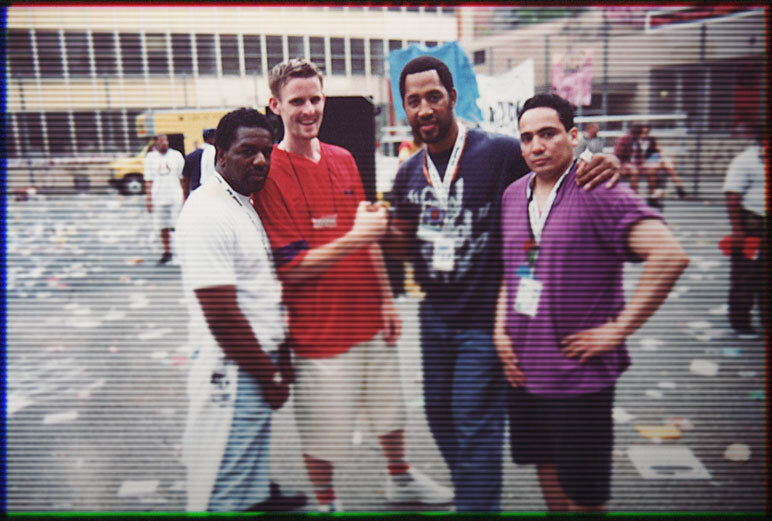 If you know and love your breakbeat history then check back later for the scoop. 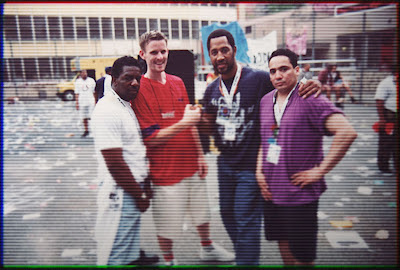 DJ Tony Tone, Break DJ Leacy, Kool Herc, Charlie Chase @ Rock Steady Park circa mid 90s.